Near midnight on Chappaquiddick Island, a possibly drunk and definitely married Senator Ted Kennedy takes a right turn instead of a left. His car winds up skidding off Dike Bridge and is quickly submerged upside-down in salty Poucha Pond. His passenger, RFK office secretary Mary Jo Kopechne, is eventually recovered in the back seat. Kennedy swims to safety, whereupon he fails to rescue his companion or even simply report the incident to authorities until the following morning. Because no autopsy is ever performed on Kopechne's body (her body had been promptly whisked out of state) it is uncertain how long it took her to drown, if she wasn't killed on impact. 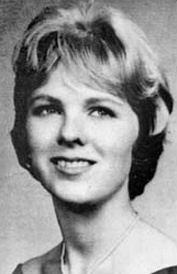 Likewise, it is never established whether Kopechne was pregnant or exhibited signs of recent sexual activity. Death certificate states "asphyxia by immersion."